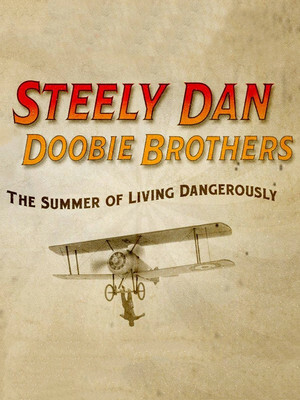 Steely Dan and The Doobie Brothers co-headline The Summer of Living Dangerously tour! Why See Steely Dan and The Doobie Brothers? Calling all Rock'n'Roll fans! 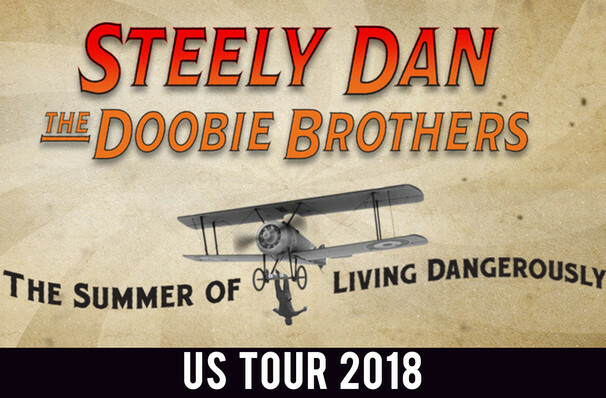 Steely Dan is heading out on a co-headline North American tour with the legendary Doobie Brothers. The Summer of Living Dangerously tour dates follows the death of Steely Dan co-founder Walter Becker last September. Steely Dan are known for blending elements of jazz with traditional pop and R&B, making them a renowned rock band and bagged themselves a place in the Rock and Roll hall of fame in 2001. The band have sold over 40 million records worldwide since being founded in 1972. The Doobie Brothers have been delivering mind-blowing rock and roll for over four decades, sold more than 48 million albums and have won four Grammy Awards! Their last release was 2014's Southbound, which featured collaborations with Braid Paisley and Blake Shelton. Get ready to Rock and or Roll, this is a tour you don't want to miss! Sound good to you? Share this page on social media and let your friends know about Steely Dan and The Doobie Brothers at Shoreline Amphitheatre. Please note: The term Shoreline Amphitheatre and/or Steely Dan and The Doobie Brothers as well as all associated graphics, logos, and/or other trademarks, tradenames or copyrights are the property of the Shoreline Amphitheatre and/or Steely Dan and The Doobie Brothers and are used herein for factual descriptive purposes only. We are in no way associated with or authorized by the Shoreline Amphitheatre and/or Steely Dan and The Doobie Brothers and neither that entity nor any of its affiliates have licensed or endorsed us to sell tickets, goods and or services in conjunction with their events.